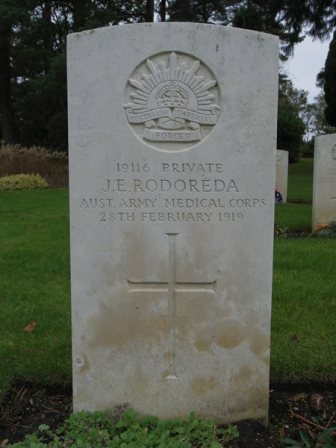 Son of Joseph R. & Elizabeth Radoslovich, Unley, Sth. Aust. 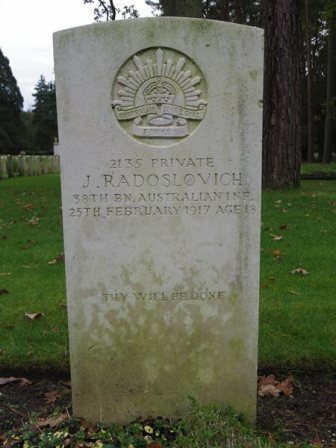 THE LATE PRIVATE J. RADOSLOVICH. 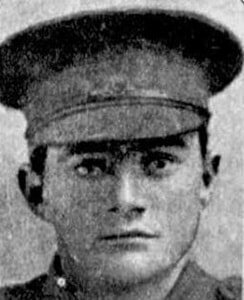 Mrs. E. Reidel, of 91, Marion-street, Unley, has been notified that her son, Private J. Radoslovich, died in the hospital in London on February 25, from the effects of a gunshot wound received in action in France. 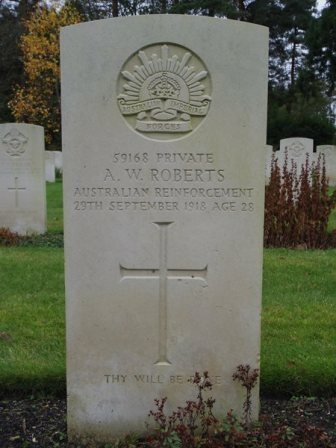 He was 18 years of age,and had been at the front for six months. 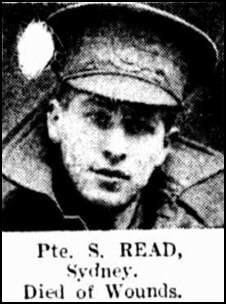 Sidney Read-only son of Mr. and Mrs. A.Read, of Chamberlain Hotel, Campbell-street,Sydney, died in England on November 10, from wounds received In France. 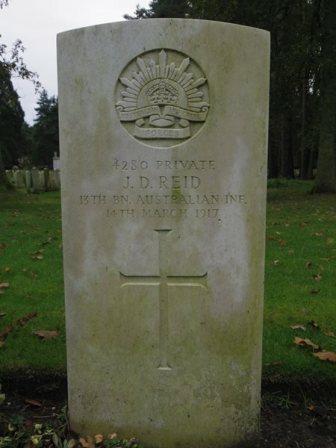 Husband of F. M. D. Reid, Station Street, Guildford, N.S.W. 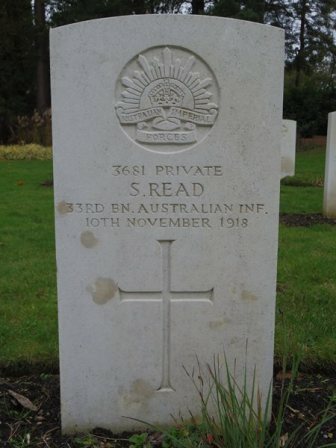 DUNBAR-REID - In sacred memory of my beloved husband and our dear father, Pte. Joseph Dunbar-Reid who died in King George's Hospital, London, March 14-1917, of wounds received in France, August 30, 1916. Son of the late Mr. and Mrs. Richard Renfree. The members of the family of the late Richard and Amelia Renfree of Durham street have been officially notified that their youngest brother had died in the Fulham Military Hospital, England, on 10th November, cause not stated. 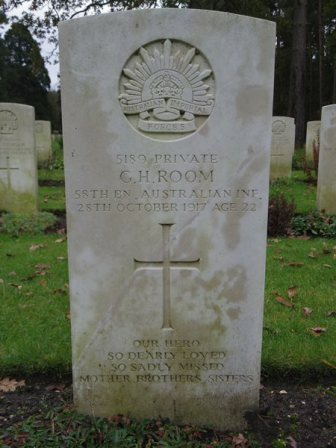 The deceased was one of the first to enlist in Victoria, having marched out to the Broadmeadows Camp with the first batch of volunteers early in August, 1914. 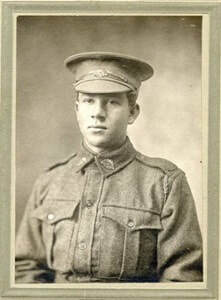 He had been on active service ever since, serving in the Light Horse Ambulance in Egypt, Gallipoli, and France. 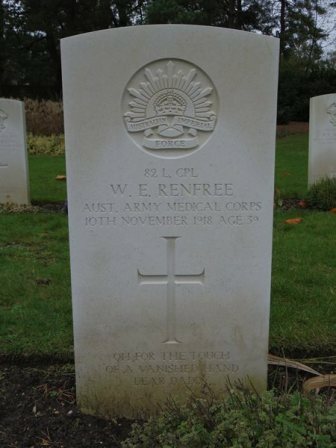 RENFREE-Lance-Corporal William E. Renfree, who died in the Fulham Military Hospital, England, on November 10, was the youngest son of the late Mr. Richard and Mrs. Renfree, of Ballarat, He enlisted in August, 1914, had had over four year's continuous service in Egypt, Gallipoli, and France. 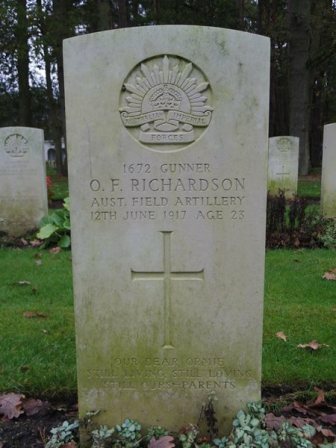 Son of John and Rosa Richardson, of Ocean Grove, Victoria. Son of Alexander Robert & Ellen Bates Richardson (nee Wellard), of Lowlands, Mardella, Western Australia. 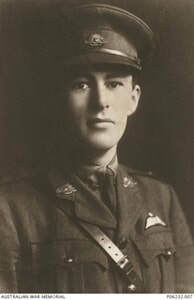 RICHARDSON - On March 5, 1919 at Prince of Wales Hospital, London, of pleurisy and double pneumonia, Ian D. Richardson, Lieutenant R.A.F., son of A.R. Richardson, Lewlands, W.A. 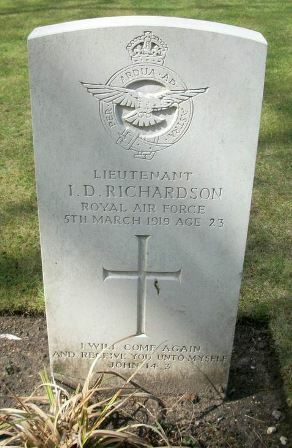 Husband of Jane Richardson, Murray Bridge, Sth. Aust. Mrs. P. R. Richardson, of Bridge-street, Murray Bridge, has been officially notified that her husband, Private P. R. RICHARDSON, of the 50th Battalion, was found dead at 43, Gower-place, Gower-road, London, on January 17. 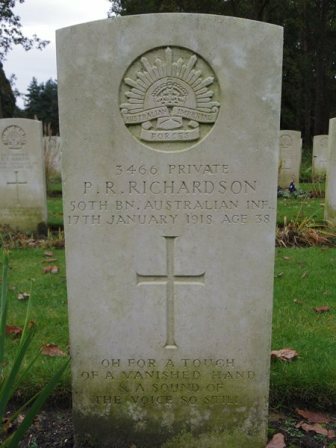 The late Private P. R. Richardson, who was a well-known figure in Murray Bridge, enlisted on January 22,1917, was drafted into the 9th reinforcements of the 50th Battalion, and left for England on February 10. He arrived in London on May 3, and went into training at the Codford Camp on Salisbury Plains. He was sent to France on August 1, and went into the firing line on September 13. After three months in the trenches he was sent back to England, suffering from the effects of poisonous gas. 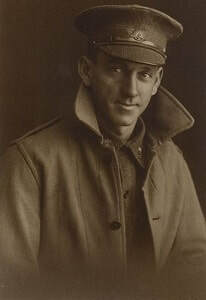 He was placed in the Australian Red Cross Hospital in Norfolk, and subsequently transferred to a convalescent hospital in London, where he died suddenly. He was born at Mt. Gambier, educated at the Mt. Gambier School, and spent the greater portion of his life in that district. He followed farming pursuits chiefly, but for a time had a butchering business. He was a member of the rifle club, and took great interest in the firing competitions of the club. He was also keenly interested in all local sporting matters. 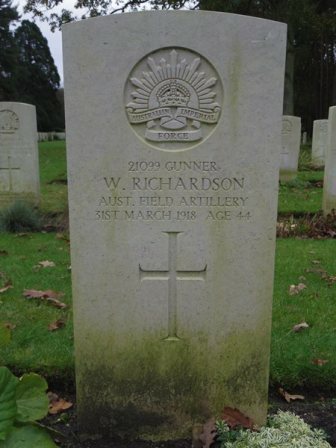 Private Richardson came to Murray Bridge with his wife and family about four years ago and followed the occupation of a general labourer. He made three attempts to enlist before he was accepted. He was 36 years of age at the time of his death, and left a widow and two children. 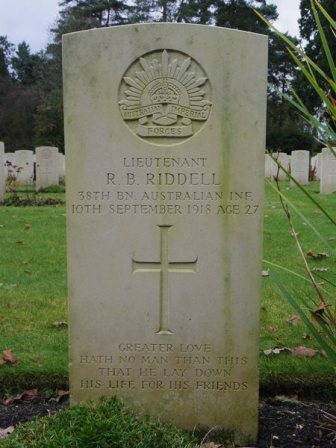 Son of Robert B. and Maggie Riddell, Toorak, Victoria. recommended for officers' school. He gained his commission at Worcester College, Oxford. Some months ago he sprained his ankle whilst in action and also had trench fever. Husband of Ruby Roberts, Charlestown, New South Wales. 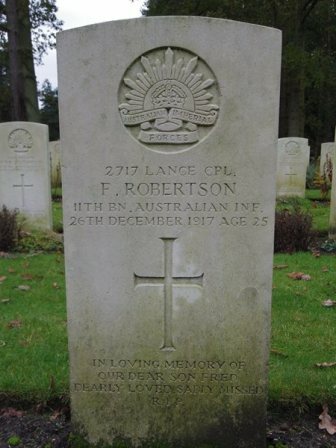 Son of David and Caroline Mary Robertson, Longueville, N.S.W. 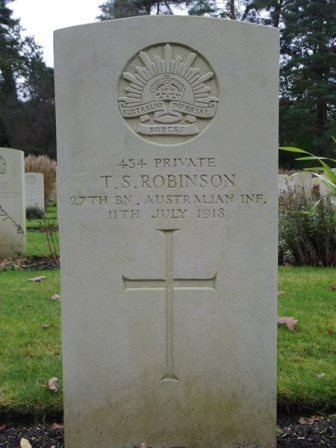 At an inquest into the death of Driver F. D. Robertson, an Australian, who was found drowned in the Thames, near Vauxhall Bridge, Miss Young, a Southampton woman, gave evidence that she met Robertson at Hastings in 1918, when she was serving in the Women's Army Auxiliary Corps. They became engaged, and she received affectionate letters from him until a few days ago. A verdict of suicide while temporarily insane was returned. The coroner remarked on the absence of motive, and said they must presume it was a case of suicide after nerve-racking battle experiences. Son of John and Hannah Robertson, Fremantle, West. Aust. 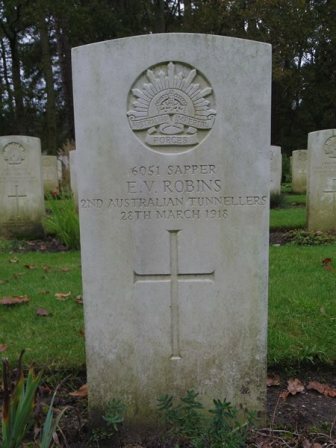 THE LATE SAPPER E. V. ROBINS MEMORIAL SERVICE. On Sunday night , last, in the Alstonville Agricultural Hall, the Rev. 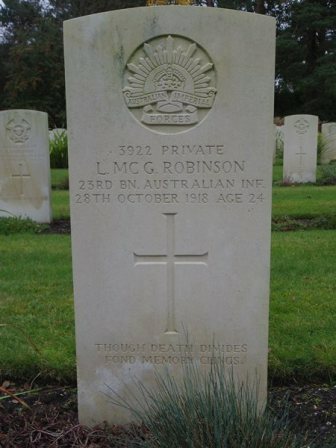 Gordon W. McAlpine Alstonville, conducted a memorial service to the late Sapper E. V. Robins, second son of Mr. H. A. Robins, "Lochiel," Rous, who had given his life for his King and country. The attendance "was very large indeed, all classes and creeds attending to pay-their respect to the memory of a brave soldier and to his father-and brothers and sisters. The stage was appropriately arranged for the occasion. The background consisted of a large "Union Jack,' while the pulpit was draped in black relieved by the Australian flag, in front of which was a large wreath of white chrysanthemums. On the organ was a large vase of white flowers. The service, which was a very solemn one opened with the National Anthem, followed by a prayer, after which the hymn "0 God Our Help in Ages Past" was sung. The first lesson was taken from Ecclesiastics 12th chapter. After prayer Psalm 20 was sung. The second lesson was from 1st Corinthians, 15th chapter. After prayer Kipling's famous Recessional Hymn was sung. The other hymns were: "O God of Love, 0 King of Peace," and "'For Ever With the Lord." The Rev. Son of George and Agnes Robinson. 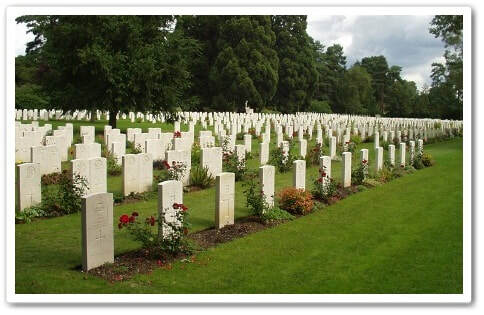 RODEREDA.— Of your charity, pray for the repose of the soul of Private Jack Rodereda, who died in London from pneumonic -influenza , on February 28th, 1919, at the age of , 20 years. R.I.P. 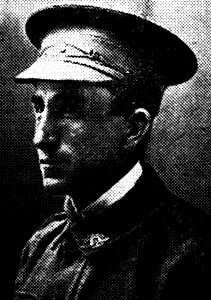 Husband of Edith J. Roebuck, Abbotsford, Sydney. 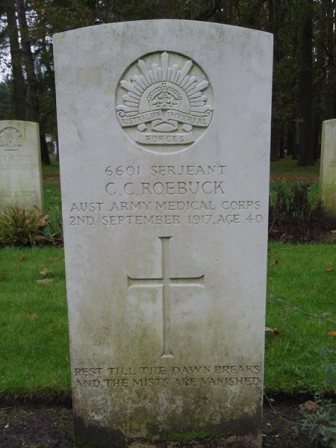 ROEBUCK.-Died 2/9/17, in England, of wounds received in France, Sergeant Charles Clement Roebuck, brother of Fredk. 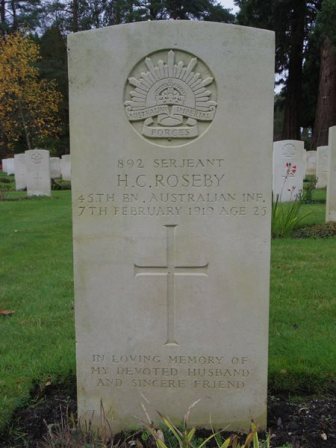 Percy Roebuck, Abbotsford. Son of Thomas & Margaret A. Room, Tamworth, N.S.W. Husband of Olive L. Roseby, London, England. months in Sydney. 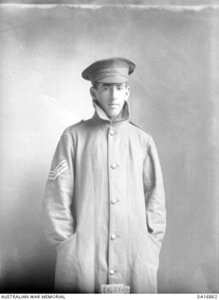 In October he returned to England, only to arrive about the time of the armistice. News was received that he was returning to Australia in February with his young wife, but the cable of Wednesday last notified that the young soldier had succumbed to pneumonia. Son of Joseph & Sarah Jane Rosemond, Canterbury, N.S.W. 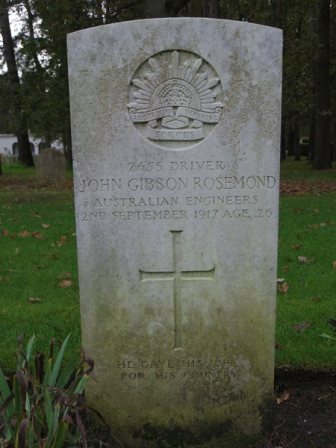 ROSEMOND -Died of wounds, September 1, 1917, John ("Jack") Inserted by his loving parents and sister. Mr. J. Rosemond, George-street, Canterbury, has been notified that his son, Driver J. Rosemond, has died of wounds. He was on active service for two years. 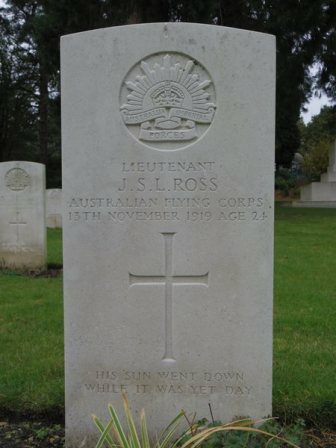 Son of William & Jessie Ross, Paddington, N.S.W. Son of John Leslie & Elizabeth Jane Ross, Moruya, N.S.W. BRILLIANT CAREER IN THE AIR FORCE. two were slightly damaged, and Lieut. Ross was shot through the thigh. He succeeded, however, in bringing his machine safely home. Lieut. 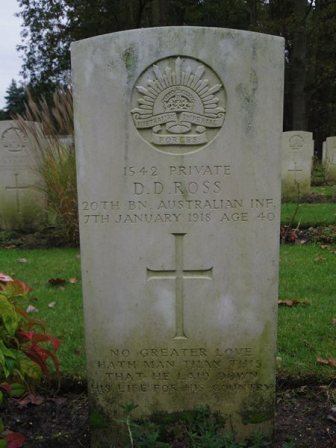 Ross was sent to hospital in England, and did not return to France again before the armistice. 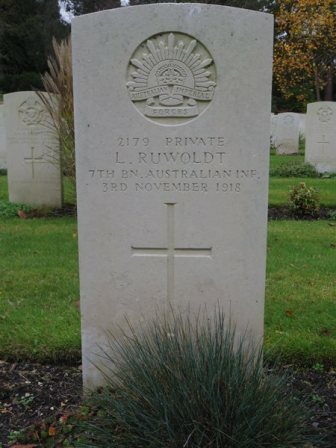 Private L. Ruwoldt, son of Mr. and Mrs. H Ruwoldt, of Garsed-street, Bendigo, is reported as having died on 3rd November, at Fulham Hospital, England. The cause of death not stated. He enlisted in March, 1815 and was wounded on 9th August 1915. He was 27 years of age, and was educated at the Marist Brothers' College.